Yes! Thanks for asking. 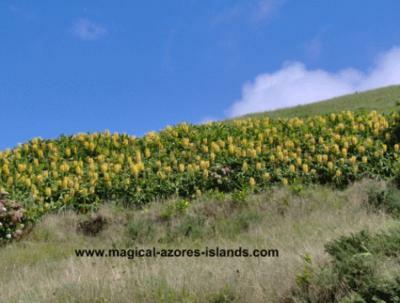 The Azores climate is one that allows most plants to flourish. From April - September there are flowers everywhere. The most profuse are Azaleas (starting in March), Hydrangeas (all through the season, but the most in July), and Ginger later in the season (August & September). But there are many others in bloom all through this time. There are also many gardens and parks to choose from. 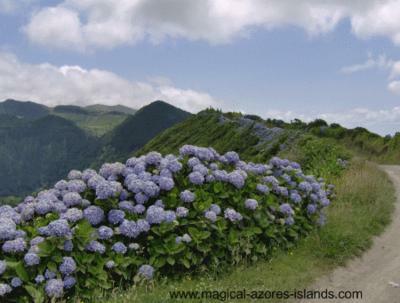 One of the best is Terra Nostra Park in Sao Miguel Azores. I tend to suggest Sao Miguel for anyone on a first time visit. But I will say that Flores has a reputation for its flowers. at Hampton Court Flower Show.